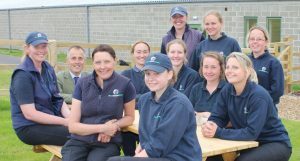 A new visitor centre and indoor arena at World Horse Welfare’s Glenda Spooner Farm Rescue and Rehoming Centre near Somerton, Somerset will be officially opened by the charity’s President, HRH The Princess Royal on Friday 15th July. 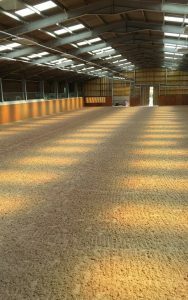 Glenda Spooner Farm, one of World Horse Welfare’s four Rescue and Rehoming Centres, now has facilities to rehabilitate its 65 horses and ponies in all weathers through its indoor arena, so allowing the charity to make space more quickly for other horses needing their expert help. 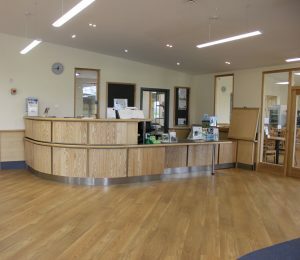 The new visitor centre provides a number of educational opportunities for visitors who can learn about welfare challenges locally or around the world and how the charity addresses them, as well as learn the basics of good horse care. 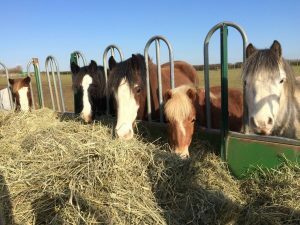 The latest estimates from World Horse Welfare’s team of Field Officers indicates that around 1,100 horses are at risk of welfare problems in the areas surrounding Glenda Spooner Farm, with issues including abandonment, malnutrition, obesity, overbreeding, disease and general neglect. 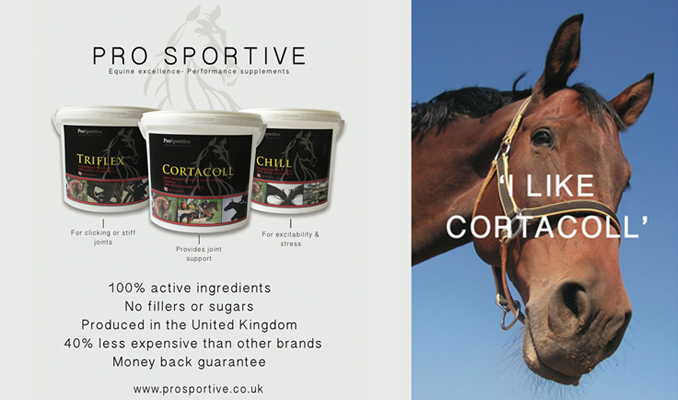 The centre’s location means that horses in need of care are not subjected to long periods of travel in order to begin their rehabilitation and the new facilities are a vital asset in enabling World Horse Welfare to rescue and rehome more horses. Development of the farm was the product of £3m worth of investment and ten years’ of planning, with phase one in 2013 creating new crew yards to increase the farm’s stocking levels and an isolation unit which allows the safe and secure processing of new arrivals to the farm. The final stage of the development created a welcoming visitor centre and sizeable indoor arena completed in early summer 2016 which will be officially opened by The Princess Royal on Friday 15th July. 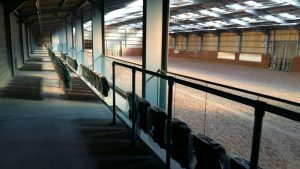 Not only do the visitor centre and indoor arena provide a showcase for the charity’s work and a hub of horse care education, but they can be hired and enjoyed by the community making it a real asset for the South West. 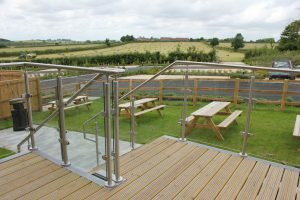 The centre is also a visitor attraction for the local area, providing a great location for a family day out with a coffee shop serving excellent meals and various walks around the farm’s beautiful 200 acres. Plus, there is a modern conference suite and lecture area with all facilities available to hire and catering for a wide range of events. Located in close proximity to the main A303 corridor, one of Somerset’s major road links and with ample free parking, the conference suite will prove to be a popular venue for many businesses across South Somerset and further afield. Almost a decade in the making, Glenda Spooner Farm, Somerton has been operating as a Rescue and Rehoming Centre since the site was purchased in late 2006. 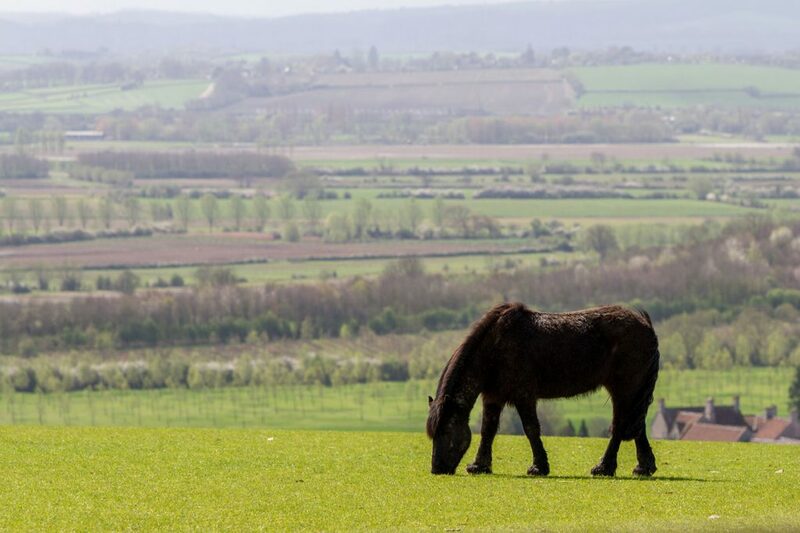 Previously in Herefordshire, World Horse Welfare’s ‘western’ base was relocated to Somerton – improving accessibility and transport links from a greater geographical area, plus providing a prominent position for the centre and offering a site with much greater potential. “We are delighted that the final phase in the development of Glenda Spooner Farm is now completed and we are honoured that our President HRH The Princess Royal will be officially opening these fantastic new facilities that are already making such a difference to the lives of many horses. “Glenda Spooner Farm marks the final stage in the development of our four Rescue and Rehoming Centres around the UK, giving our dedicated staff the best possible facilities to carry out their vital work in rehabilitating and rehoming horses who are so desperately in need of our help.